Wharton the world is happening? Book review club, that’s what. 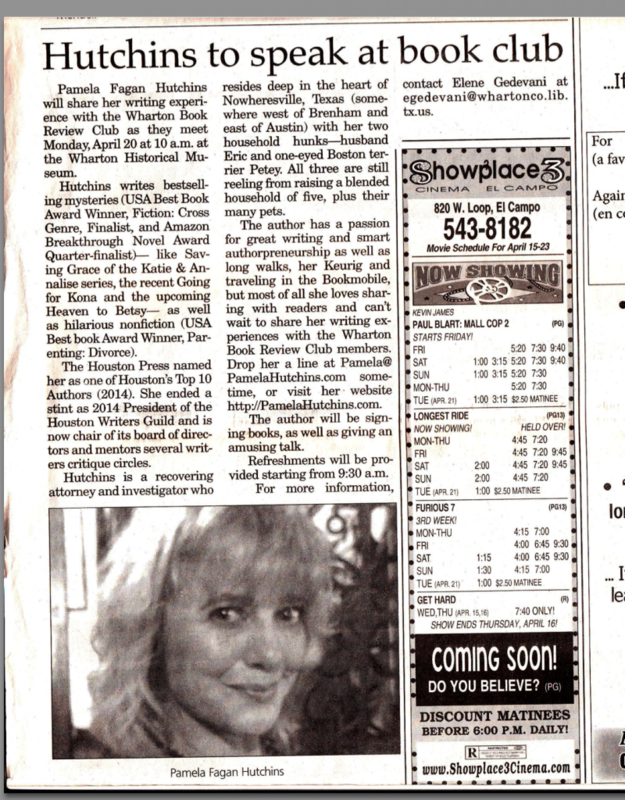 What a fun day with the Wharton Book Review Club in tiny Wharton, Texas! They have been continuously in existence for more than fifty years, one hour from the center of Houston. They meet monthly six months out of the year, and they make their meetings a big deal. The paper ran an announcement of the event, even. Originally, my invite came from the Wharton County Library Director, Elene Gedevani, MLS, MA, a delightful woman driven by a real passion for literacy who directs the four libraries in Wharton County. She even bakes Eastern European delicacies for the monthly meetings of the Book Review club, and she runs adult and child literacy programs each summer, largely funded out of the generosity of her husband and herself. Book clubs are my favorite author activities. Don’t hesitate to ask me to yours. If I can’t appear in person, I can always connect to a group via Skype. 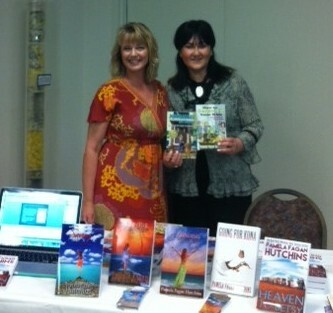 It has always been the most rewarding events for you (Small town Libraries and Book Clubs). The people are so nice and CARE about being there and care about what you have to say. I love to see you in action in those situations as the audience warms up to you and sees that you want to be there as well and you care about delivering something fun and worthwhile. Well said, honey. They are my favorites! I’m loving this new (ish) haircut you’ve got going on – it really looks good on you! I’m sure you had a wonderful time at the book club because they are “for” you – not against you!! Tell us about it sometime!